Buzzard Fascias and Fixings - About us. Suppliers of uPVC fascias trims & gutterings, polycarbonate, silicones, fixings, etc. Established in 1997 we have over 20 years of experience within the roofing industry. We have the experience and knowledge to bring you the latest products at the best possible price. Over the years we have seen suppliers come and go and we’ve hand picked our suppliers based on their ability to supply top quality products at their best possible prices, and our aim to to pass those savings on to you. We try our best to keep full product ranges without ever running out of stock. 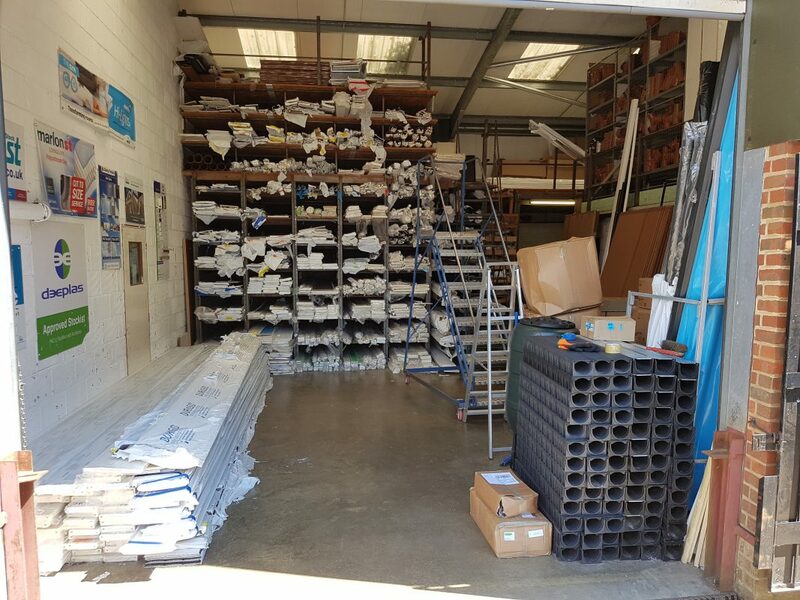 Our aim is to make your life easy and we know how frustrating it can be arriving at a stockist only to find they have items you need out of stock! We hope that within our ranges you’ll find everything you need to complete your work to the highest possible standards. Our custom base includes everyone from housing associations, house builders, council spec work, general builders to DIY! Buzzard Fascias always have everything in stock which is a huge bonus for us as we hate wasting time and fuel having to buy bits and bobs from here there and everywhere. Geoff has years of experience and he makes life easy for me. We have been using Buzzard Fascias & Fixings as our primary roofing supplier for the last 6 years and they only get better and better. They are plastic roofing products specialists and can give my lads advice when needed. Prices are great too. I used to buy all of my roofing products from a national builders merchant because I thought they would be the cheapest given the size of the company. Then we found Buzzard. Geoff is brilliant, he’s saved our business a lot of money as he specialises in his products and uses his buying power to help us in the trade! Highly recommeneded. Please feel free to contact us via email or phone for anything you may need. Buzzard Fascias & Fixings have been trading for the last 20 years. We have the experience and knowledge to bring you the latest products and the best possible price. Our goal is to make your life easy and as such we try to keep everything in stock and ready to go.